Fall is the perfect time for planting, but before you plant anything, you should know what zone you live in and what the plant is rated for. When planting, it is very important to pick the right plant for the right spot. Most perennials, but not all, should be cut back after a killing frost. Some can also be left up for winter interest if you desire. Once you cut them back, the majority of your perennials will require protection from the alternate freezing and thawing that occurs in late fall and early spring. The biggest mistake gardeners make is not continuing to water! We suggest watering through November if you can. Fall is the best time to divide any plants that are not fall-blooming. 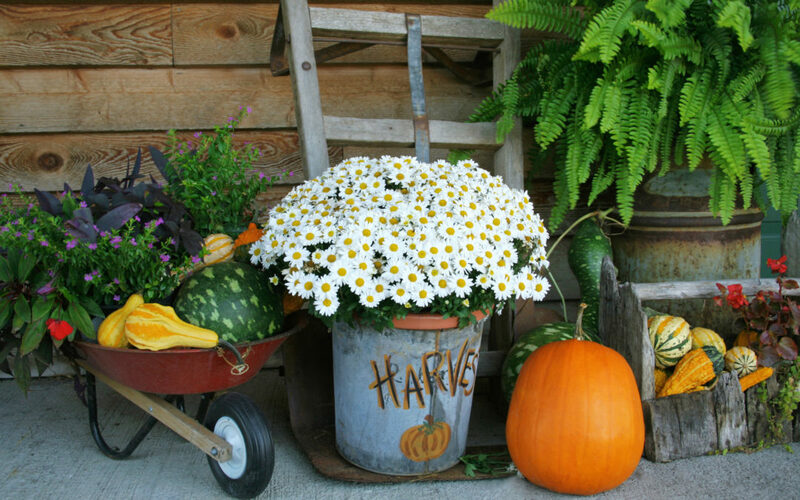 Any fall-blooming plants should be divided or moved in the spring. If you have fallen in love with a plant not rated for our zone, it MAY still be possible to grow it and be successful if you take our advice and provide a little extra TLC. Once spring arrives again, the mulch should be removed after all the frost is out of the ground. Mid to late April is the best time to fertilize your perennials.